Products in the Janusseal suite require end-users to apply a security classification to all email messages they send and to all documents they create. There is no way around the system. 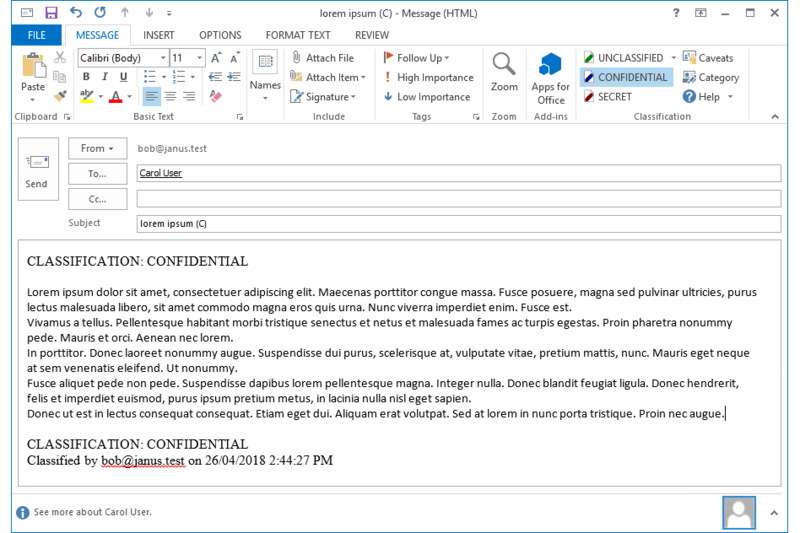 Emails with security classification labels can then be examined at the email gateway and blocked, quarantined, automatically encrypted or allowed on their way as determined by your organisation's security policy and where the message is going. Janusseal is available as add-ons for Outlook, Outlook Web App and newer versions of Outlook for the Web, Outlook for iOS and Android. Janusseal Documents is designed for Word, Excel and PowerPoint plus provides classification within File Explorer.